Snow coverage is looking great this spring and there is still plenty of excellent spring riding days to be had. This is a good time of the year to get into the mountains and generally offers better stability and more manageable avalanche problems for backcountry travelers. 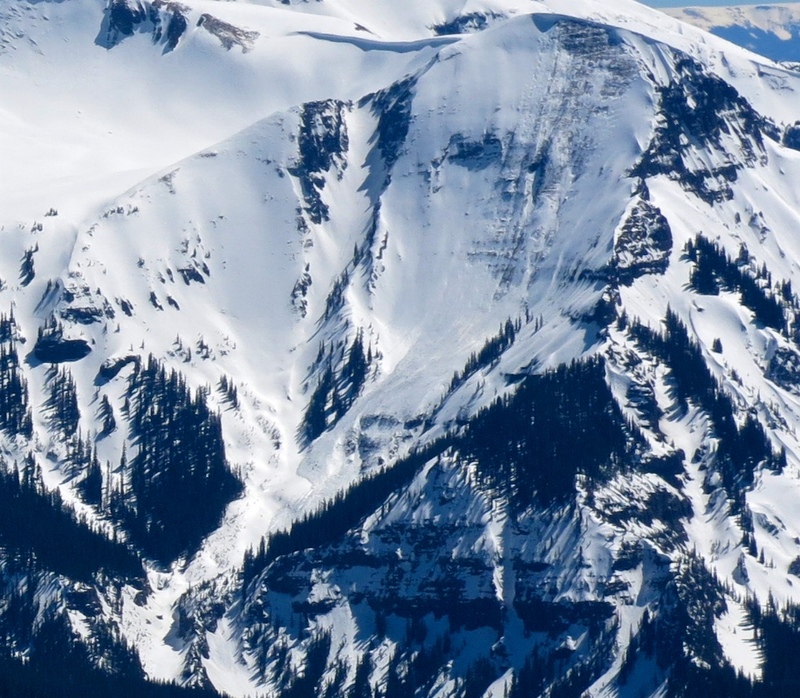 However, avalanches conditions can still be dangerous during spring, and there are several kinds of problems you should continue to monitor and assess during you springtime adventures. 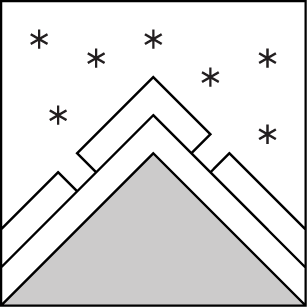 Spring snowfall will usually fall on some form of crust. These surfaces do not immediately bond well. Anytime a slab of new and/or windblown snow forms, anticipate touchy storm slabs during and shortly after the storm. New snow can become more reactive as the sun comes out immediately after the storm and fresh snow quickly consolidates into a more cohesive storm slab. Expect leeward and cross-loaded features at higher elevations to hold thicker and more sensitive slabs following a storm accompanied by strong winds. These kinds of instabilities are generally short-lived during the springtime but can last for several days after the storm on shaded aspects or higher elevations. 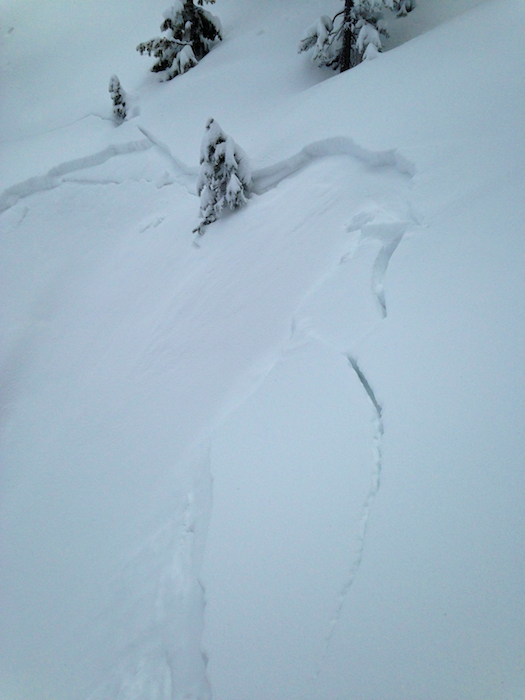 The best strategy to handle storm instabilities is to monitor how much snow accumulates during a storm and ease into small and manageable terrain until you’ve assessed how large and how sensitive new slabs are. Be wary of wind-loaded slopes and avoid heavily wind-loaded features following a significant storm. You can monitor snowfall and wind data at our weather stations page. When the sun (or rain) comes out after a spring storm and moistens the new snow, loose wet avalanches become frequent on steep slopes, especially near rocky terrain. This Loose Wet shedding is most pronounced on the first significant wetting after a storm. These point releases typically fan out and entrain all of the new snow down to previous crust layers. These are usually small and predictable but can carry significant mass after a large storm or in terrain with significant vertical relief. During intense or prolonged warmups, they can gouge deeper into the snowpack and produce larger, full depth wet loose avalanches. Wet slabs can be a larger, less predictable, and more dangerous problem. These are caused by liquid water percolating to and compromising the strength of buried weak layers. 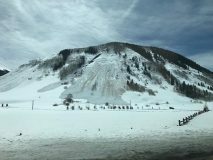 This year, most slopes facing southeast through south to southwest at near and below treeline elevations have already experienced their “wet shock” during warmups in April, and have established drainage channels for meltwater. Upper elevations and northerly facing slopes have seen less, if any, meltwater, and are most suspect for wet slab activity if we see an intense or prolonged warm-up or a significant rain on snow event. The size of wet slabs failing on buried weak layers would likely be large if they became dramatically wetted. Wet slabs are most likely to occur following multiple nights without a refreeze and subsequent warm days. Wet avalanche danger is typically lower in the morning and rises through the day. The best strategy for handling wet avalanche problems is to exit avalanche terrain early during warm, sunny days or avoid steep terrain during rainy days or when the snowpack did not refreeze overnight. 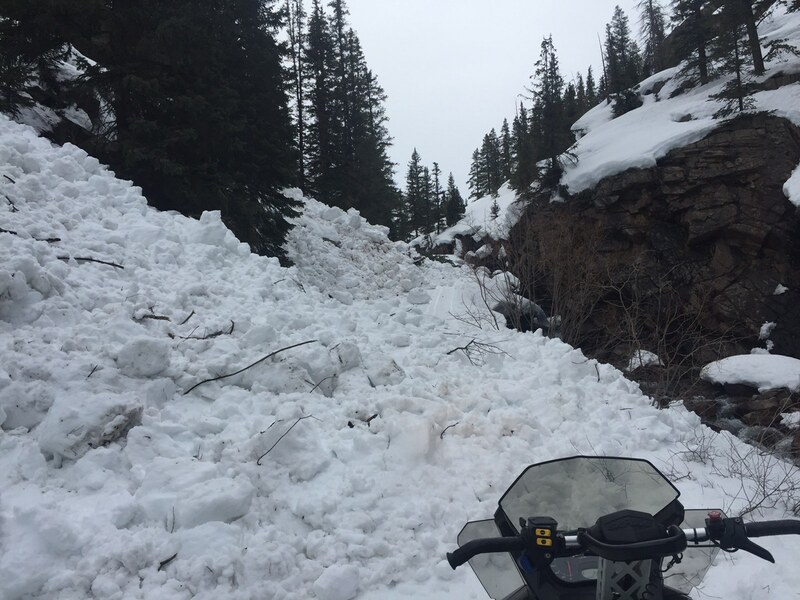 While in the field, monitor how well the snow surface refroze overnight, and time your descent so that you are riding in a couple inches of supportive corn snow, rather than punchy, trap-door snow or boot deep slush. Look for evidence of fresh wet avalanches, pinwheels, or rollerballs on similar slopes to clue you into decreasing stability. Monitor mountain temperatures on our weather stations page and expect cloudy nights to inhibit the quality of refreeze. Springtime is the season that large cornices that have been growing all season begin to weaken and fall. 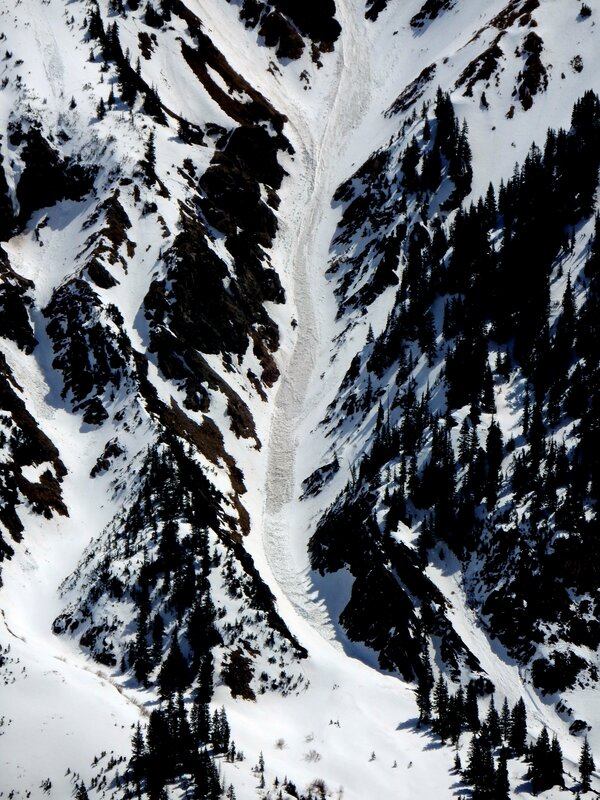 These cornice falls can also trigger slab avalanches. Cornices tend to break wider or further back than expected. 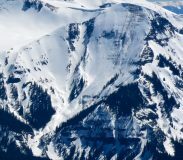 Give a wide berth if you are traveling along a corniced ridgeline, and limit your amount of exposure climbing underneath cornices, especially during the sustained or intense warm-ups. The CBAC will continue to monitor the snowpack and post observations or updates to our website and our facebook page if conditions warrant.